Dominic began his career at Bankers Trust Australia where he ultimately held responsibility for the Australian derivatives business and Bankers Trusts’ global metals and agricultural commodity derivatives businesses. 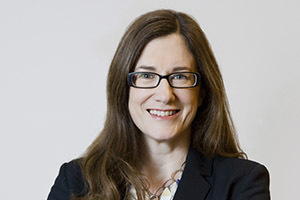 Gillian Larkins was appointed Chief Financial Officer of ASX in October 2018. In this role, she is responsible for ASX’s Finance, Investor Relations and National Facilities functions. Gillian has more than 25 years of experience in finance, strategy and management roles across a number of industries. 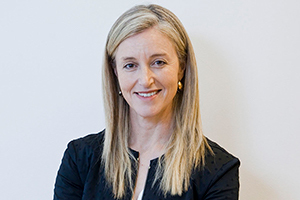 Prior to ASX, Gillian was at Perpetual Limited, initially as Group Executive, Transformation in October 2012, prior to taking on the CFO role in 2013 until 2018. Her CFO role at Perpetual encompassed finance, technology, legal, compliance and risk responsibilities. Before Perpetual, Gillian was CFO of Westpac’s Institutional Bank and CFO for Citigroup’s operations in Australia and New Zealand. Gillian has also served on numerous boards, including Hastings Funds Management from 2009 to 2011, and The Trust Company (Sydney Airport) Ltd from 2016-2018. 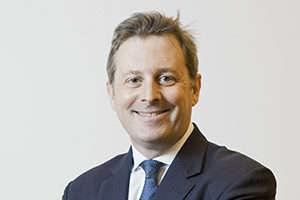 Blair Beaton was appointed Chief Strategy Officer in March 2017. He is responsible for developing, driving and aligning ASX strategy, and overseeing ASX's Media and Communications function. Prior to ASX, Blair was Head of Strategy and Mergers and Acquisitions at Challenger Limited. 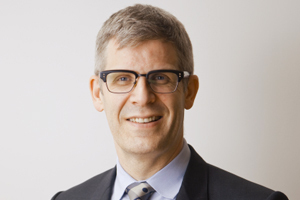 He has more than 25 years' experience advising Boards and CEOs in Canada and Australia in organisations such as PwC, Challenger, and Capital West Partners, an independent Canadian corporate finance advisory firm. Dan Chesterman was appointed Chief Information Officer in July 2017. In this role, he leads ASX's technology teams and is responsible for the delivery of technology solutions and services aligned with ASX’s business strategy. Dan has extensive domestic and international financial services experience and familiarity with technology infrastructures from a strategy, delivery, regulatory and operational perspective. 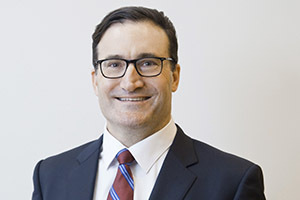 Prior to ASX, Dan was CIO for the Commonwealth Bank of Australia's CommSec and Private Bank, led the technology teams supporting CBA's International Financial Services businesses in Asia, and worked as a management consultant with Accenture and Whittman Hart. He has lived and worked a significant portion of his career overseas, including in China, Indonesia, Singapore, France, USA, UK, Germany and New Zealand. Max joined ASX in April 2013 and has more than 20 years' experience in capital markets in Australia and overseas. At ASX he has led the Capital Markets franchise to expand internationally, overseen a new Listings framework for New Zealand and grown the number of listings of companies from Australia, NZ, USA, Singapore, Ireland and Israel. Prior to ASX, he had oversight of Goldman Sachs’ ECM Syndicate business in Australia. He has worked for Goldman Sachs in New York and Macquarie Group in London and Sydney. He has also developed equities conferences and investor relations programs for ASX listed companies. Lisa Green was appointed Group Executive for Human Resources in August 2015. She is responsible for aligning employee and culture programs to meet ASX's strategic objectives. In her current role, Lisa has charge of diversity, learning and development, recruitment, performance management activities, compensation and benefit structures, HR policies and systems, and ongoing employee alignment and engagement initiatives. 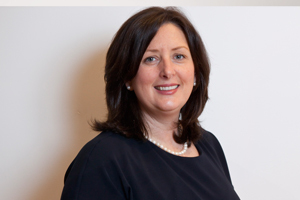 Lisa has extensive experience within the financial services industry. She has held senior HR positions with Citigroup, Morgan Stanley, and JP Morgan in Sydney and New York. Prior to joining ASX, Lisa was Head of Global Vendor Management for JP Morgan's Real Estate division, with responsibility for overseeing the simplification and outsourcing of various real estate functions globally. Peter Hiom has been Deputy Chief Executive Officer of ASX since April 2010. He is responsible for the development of all ASX businesses: Listings and Issuer Services, Trading Services, Derivatives and OTC Markets, and Equity Post-Trade Services – including ASX's development of distributed ledger technology to replace CHESS. 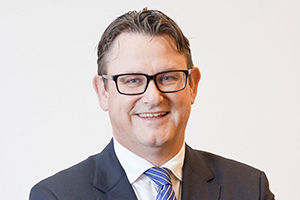 Peter joined ASX in July 2006 following the merger of the Australian Stock Exchange and SFE Corporation where he had responsibility for the business development of the Sydney Futures Exchange and Austraclear. He has a deep understanding of market structure, business processes, product development, distribution and the application of technology in capital markets. As part of his role, Peter is a director of Yieldbroker, Australia’s leading electronic fixed income trading platform, and of Digital Asset, a New York-based global leader in the provision of distributed ledger technology to regulated financial institutions. 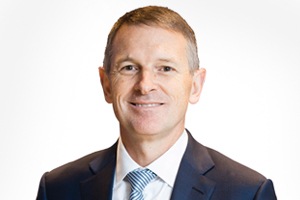 Tim Hogben has been the Chief Operating Officer of ASX since January 2017. He has overall responsibility for the live service environment at ASX, including compliance with licensing conditions, execution of the organisation's business strategy and delivering service excellence to customers. Tim joined ASX in 2000 and has a thorough understanding of the operational, technical and regulatory complexities that drive trading, clearing and settlement. He has held a number of general management roles at ASX, including Executive General Manager of Operations. He has experience in service delivery, operational workflows, system development and control environments, and has worked in senior analyst and investment accounting roles at ASX and other financial institutions in Australia. More recently, Tim has been exploring new technologies in financial services, such as digital assets and distributed ledgers. 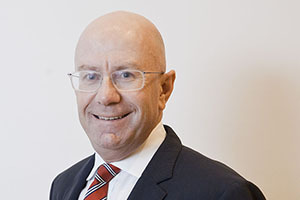 Kevin Lewis has been Chief Compliance Officer of ASX since July 2010. He is responsible for overseeing the compliance and enforcement services to the various ASX Group entities that operate markets or clearing and settlement facilities. Kevin is a leading authority in financial services regulation and compliance. He has practised law for over 30 years, specialising in financial services, mergers and acquisitions and corporate matters, and has held a number of senior management positions with law firms and as in-house counsel. He has been a partner of the law firms Freehills, Atanaskovic Hartnell and Chang, Pistilli & Simmons and the General Counsel of Bankers Trust Australia Limited. He also teaches Compliance: Theory and Practice in the Financial Services Industry in the University of Sydney Law School post-graduate program. Helen Lofthouse was appointed Executive General Manager of Derivatives and OTC Markets in September 2015. She is responsible for the listed derivatives markets at ASX, together with the OTC Clearing and ASX Collateral services, and the Austraclear bond and cash settlement services. Prior to joining ASX, Helen was an Executive Director at J.P. Morgan in London, and a Managing Director at UBS, where was globally responsible for the OTC Clearing business, and was Head of Clearing and Execution Sales in London. Daniel Moran has been Group General Counsel and Company Secretary since October 2017. He is responsible for ASX's Legal, Company Secretarial and Regulatory Policy functions. Daniel joined ASX in 2010 as Deputy General Counsel, working across ASX's business and functional lines with a particular focus on ASX's corporate functions, transactions, and listings and issuers. Prior to ASX, Daniel worked as a corporate and transactional lawyer at Herbert Smith Freehills in Sydney and London where he acted on acquisitions and disposals, capital raisings and restructures, as well as advising on a range of corporate legal, regulatory and governance issues. David Raper has been Executive General Manager, Trading Services, since July 2015. 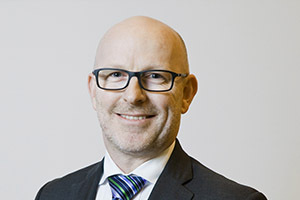 In this role, he is responsible for ASX’s equity and derivative trading, information services and technical services businesses, and for the Australian Liquidity Centre - Australia’s only purpose-built finance data centre – and Centre Point services and is a director of Yieldbroker, Australia’s leading electronic fixed income trading platform. 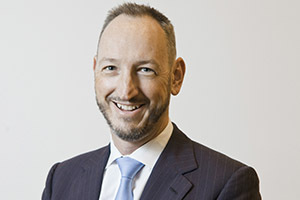 David joined ASX in 2006 as General Manager, Business Operations, following the merger of the Australian Stock Exchange and SFE Corporation (SFE). Prior to ASX, David worked in a number of senior market management roles at the Sydney Futures Exchange and the London International Financial Futures Exchange (LIFFE), and as a derivatives trader in London. 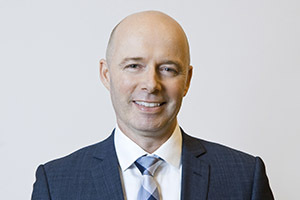 Cliff Richards was appointed Executive General Manager for Equity Post-Trade Services in 2015. He is responsible for the post-trade business development and underlying CHESS system at ASX. Cliff is also leading the world's first project to replace the national financial market infrastructure (CHESS) with distributed ledger technology (DLT) – also known as Blockchain. Cliff has more than 20 years’ financial services experience as a capital markets and technology executive with strategy, design, development and management expertise. Prior to ASX, Cliff held a number of senior management roles at NAB, Macquarie and other capital markets service providers and has driven technology-enabled change to innovate, automate and democratise access to financial services. 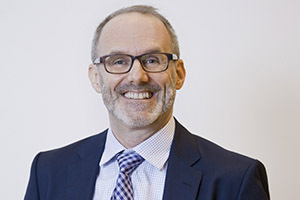 Hamish Treleaven was appointed Chief Risk Officer in March 2017. He is responsible for designing and implementing all aspects of the risk management framework that ASX uses to operate and manage its business. Hamish has extensive experience in financial markets risk management across all asset classes and product types. 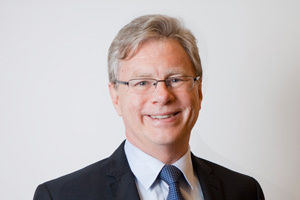 Prior to joining ASX, Hamish was the Executive General Manager of Portfolio and Market Risk Management at the Commonwealth Bank of Australia, where he worked from 2005 to 2017, with responsibility for risk management oversight of the Global Markets and Group Treasury businesses and for group-wide risk quantification for both regulatory and economic capital. Hamish has extensive experience in derivative risk quantification and management, along with the related technology requirements. He has also been a Managing Director at Zurich Capital Markets Asia and Bankers Trust Australia.